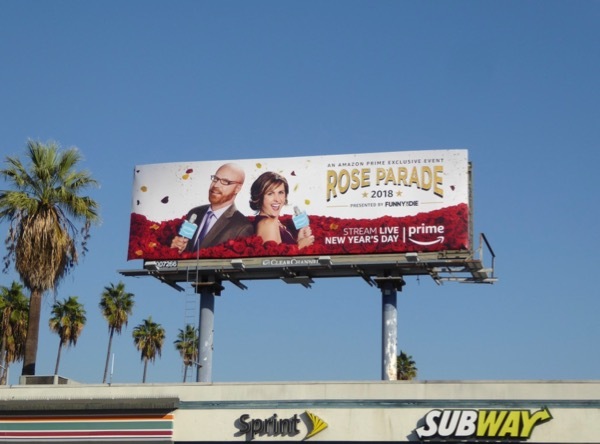 Now that we've said goodbye and good riddance to 2017, it's time to celebrate a brand New Year with the annual Rose Parade in Pasadena, California. 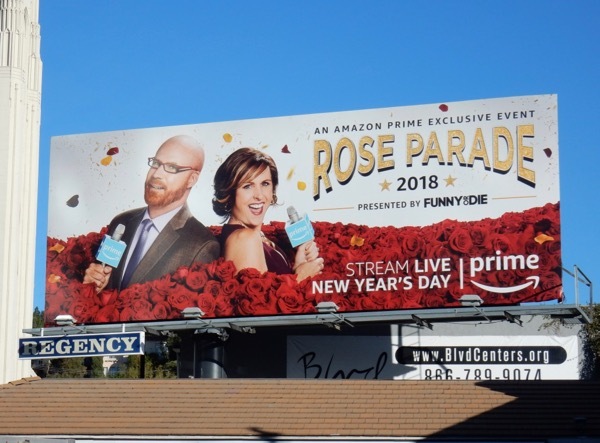 To make things even more special this January, Amazon Prime is teaming up with Funny Or Die for a rather unique live stream of the traditional festivities, hosted with flair by 'Cord Hosenbeck' and 'Tish Cattigan'. 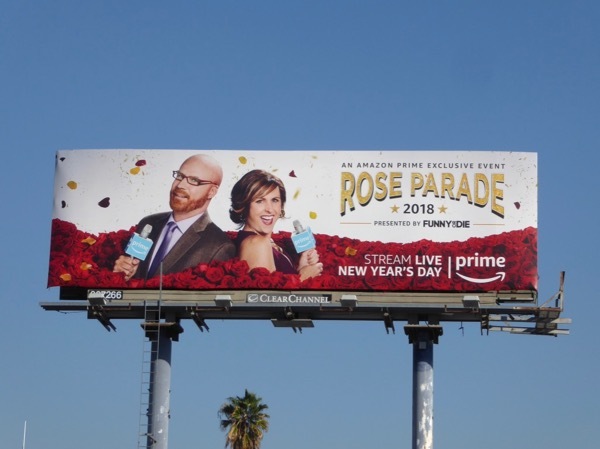 If you're thinking the names don't sound familiar, maybe the faces are more so, as Will Ferrell and Molly Shannon play the faux local TV station hosts and veteran parade commentators, who've apparently covered the event for the past twenty-five years. 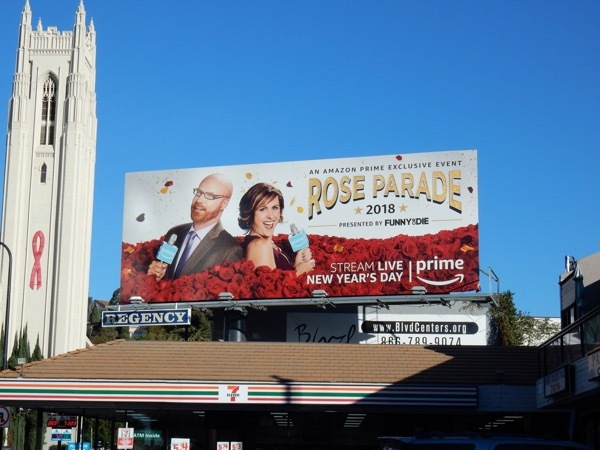 These joyful billboards were snapped along Highland Avenue and Sunset Boulevard on December 18, 2017, and fans of the funny guy can also check out all these Will Ferrell movie billboards. Enjoy the parade, and let's hope 2018 in general is a vast improvement on 2017.